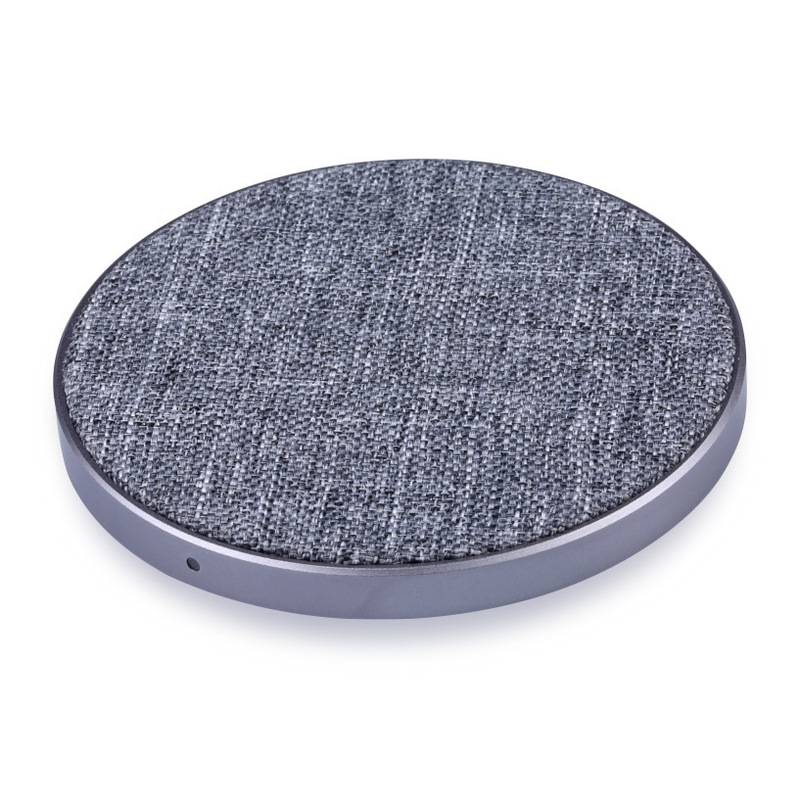 【Soft Fabric Design】 Scratchproof wireless charger pad with no-slip mat. 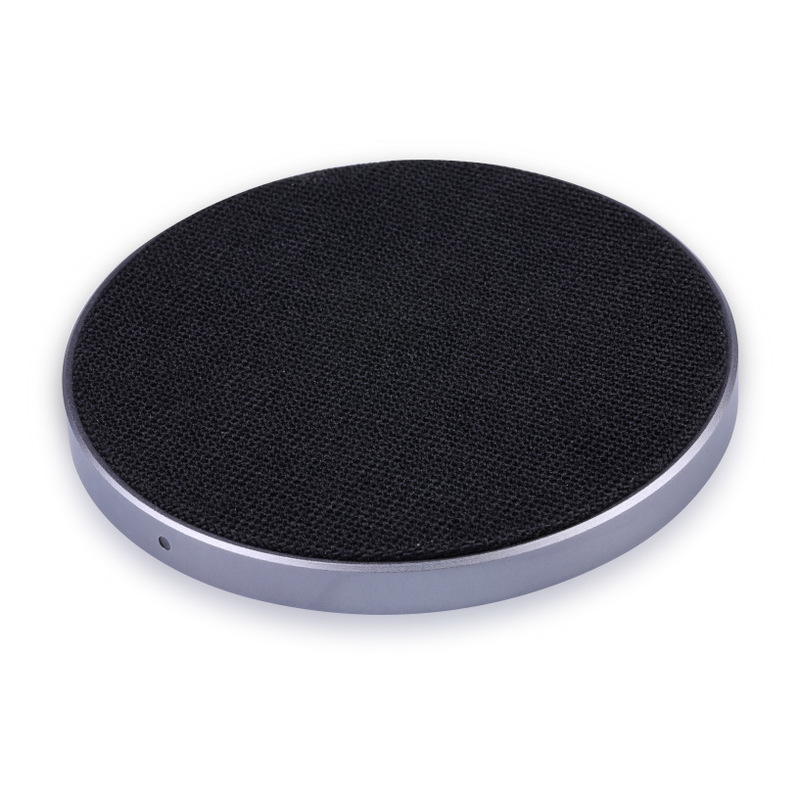 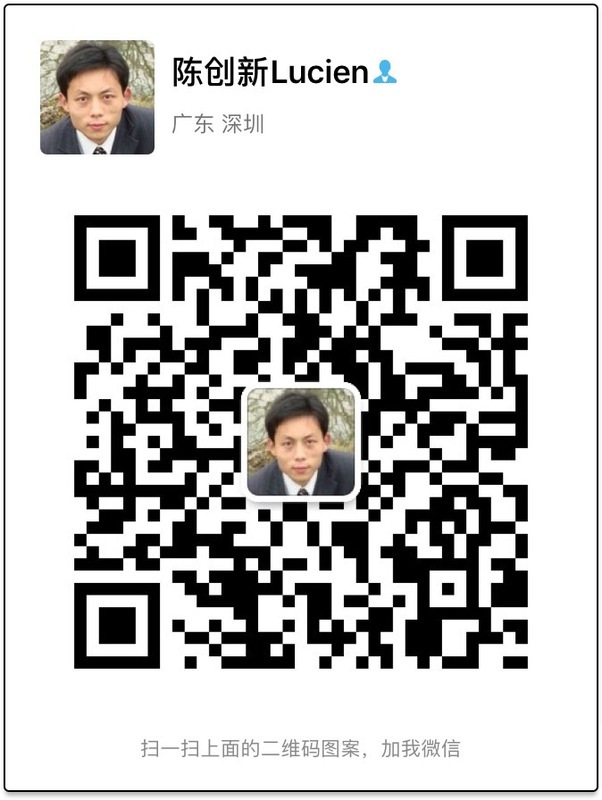 Soft and breathing fabric surface, reduce 50% heat, cooler and more efficient charging. 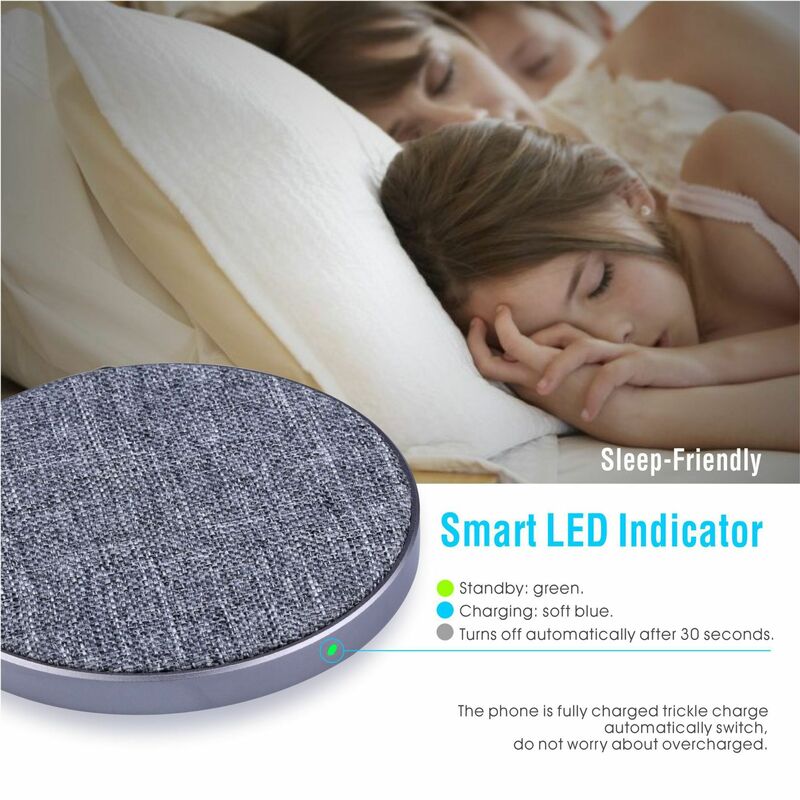 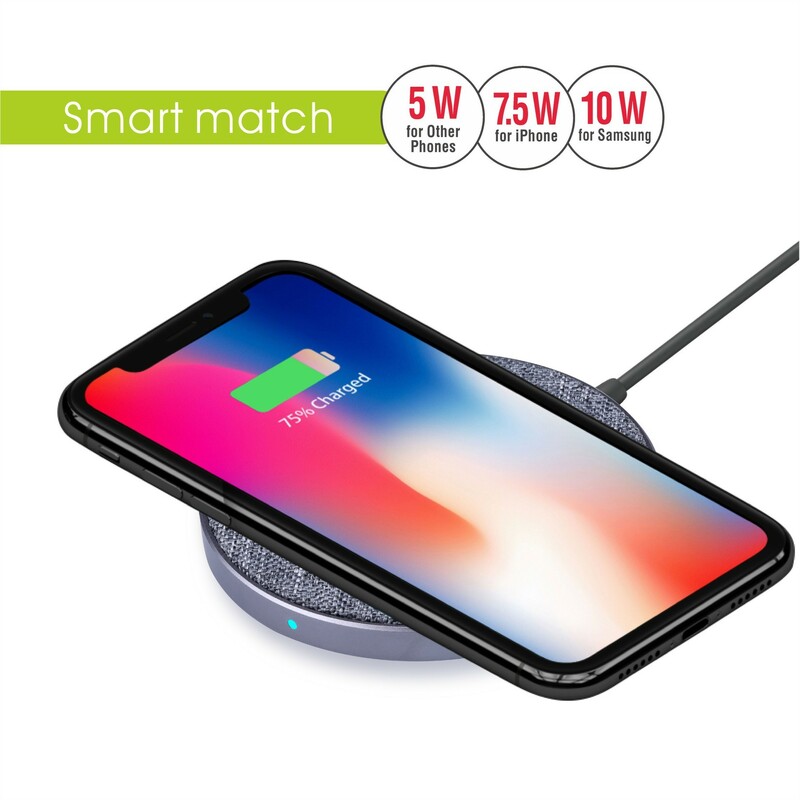 A fantasy Qi wireless charger available on the market, also a Fashion Ornament of the future style to your desk/room/office/school/night stand. 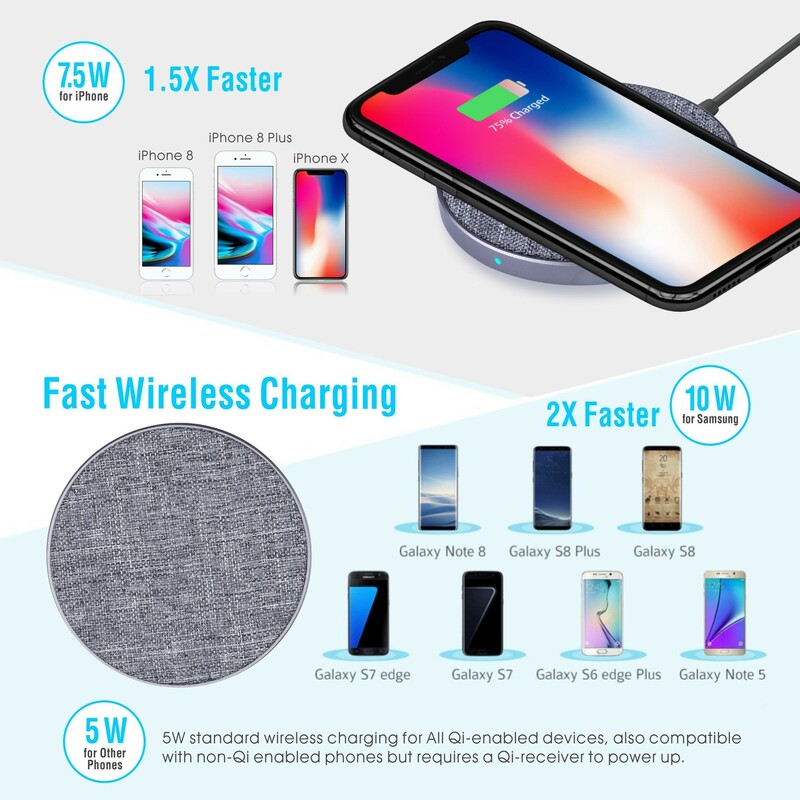 【QI Fast Wireless Charger Models】9V fast charging mode is compatible with Samsung Note 8, S8, S8 Plus, S7 Edge, S7, S6 Edge Plus and Note 5(make sure your phone is fast mode). 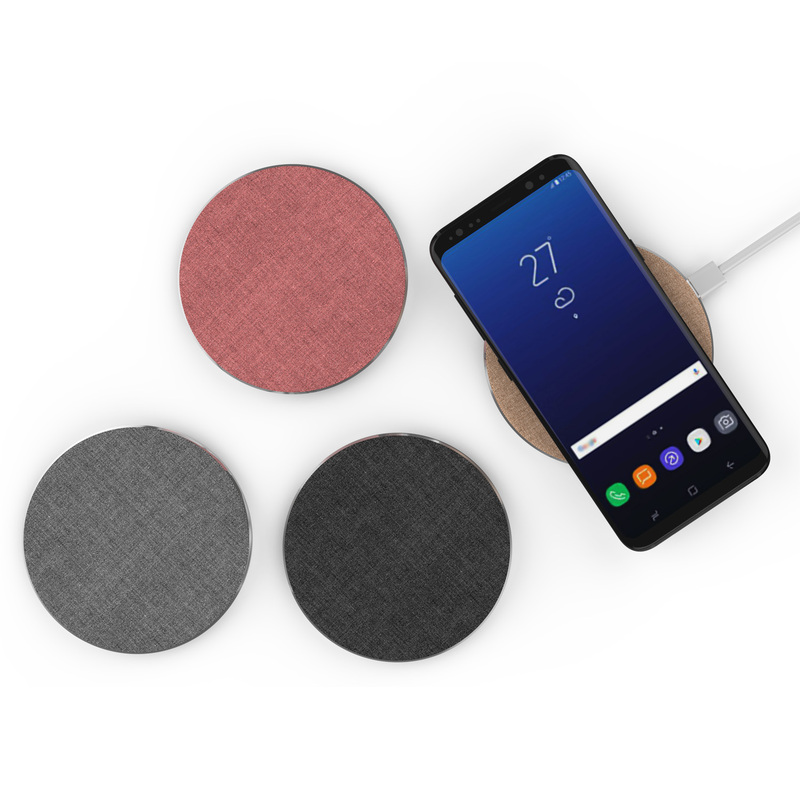 5V normal wireless charging models compatible with all QI-Enabled Devices. 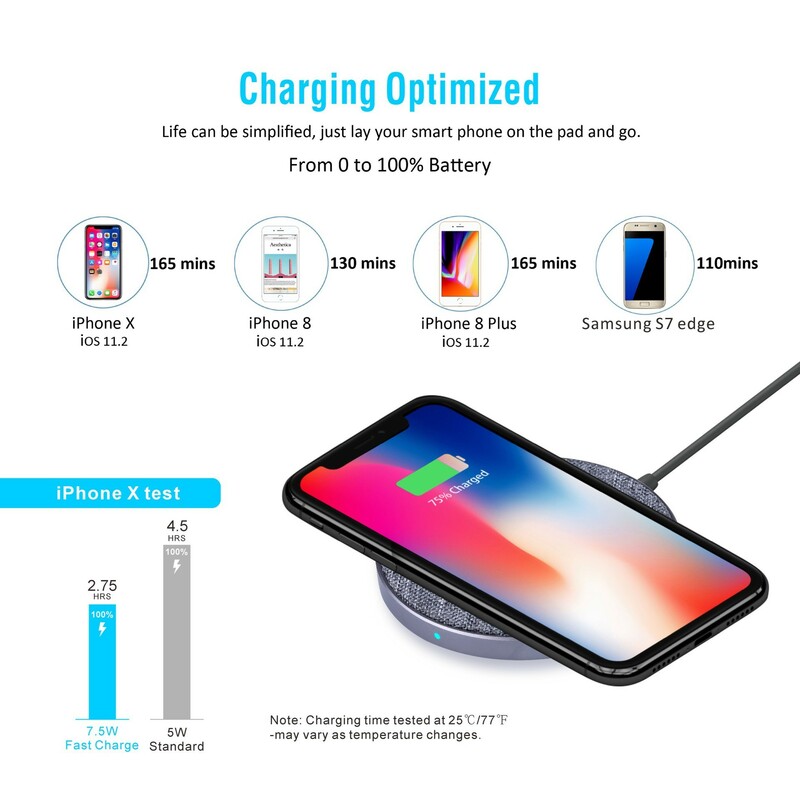 For those phones without qi-function need an additional qi wireless receiver (Not included). 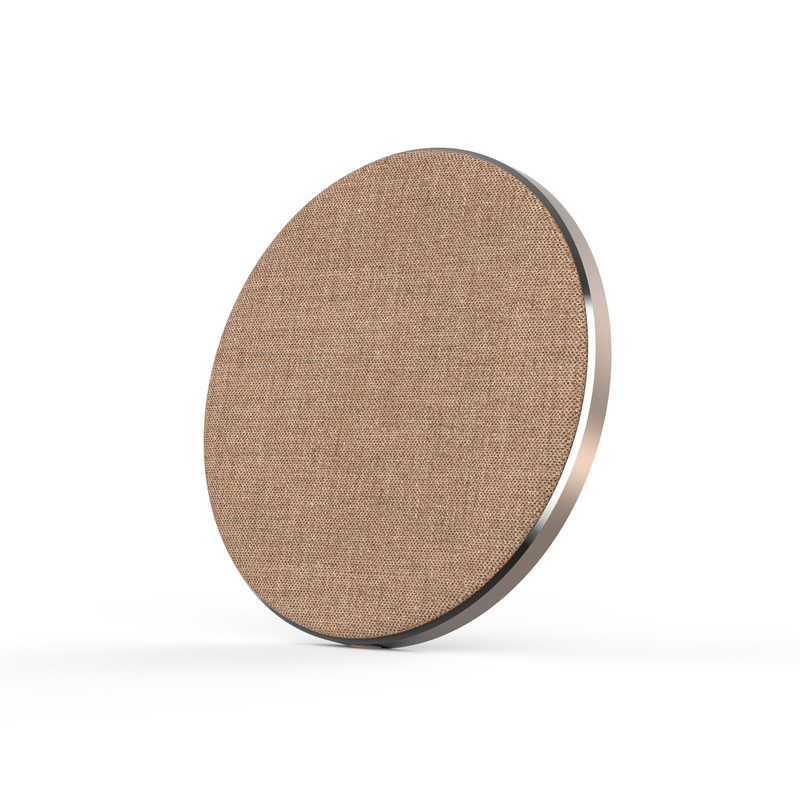 【Humanized design】Two charging models wireless charger allows you to charge your Qi-compatible devices without attaching a charging cable every time. 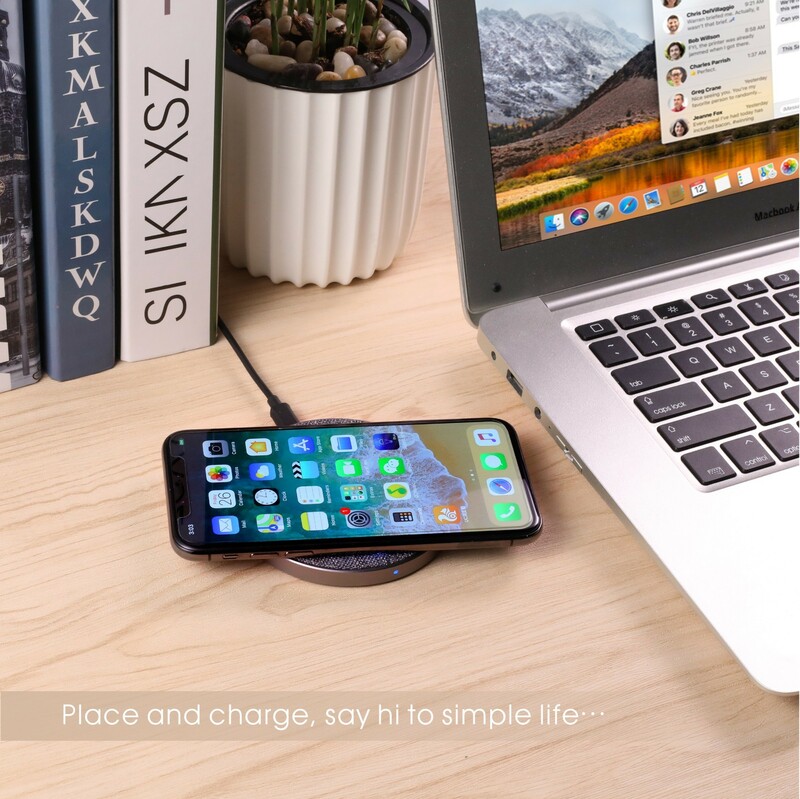 No more searching for outlets, lighting cables and plugs everywhere.